When deciding on a new security system, you want to make sure it will keep your home safe, no matter where you may be. If this is what you’re looking for, then the Leading Edge security system is perfect for your home. Let’s look at five great features of buying and installing a Leading Edge security system. 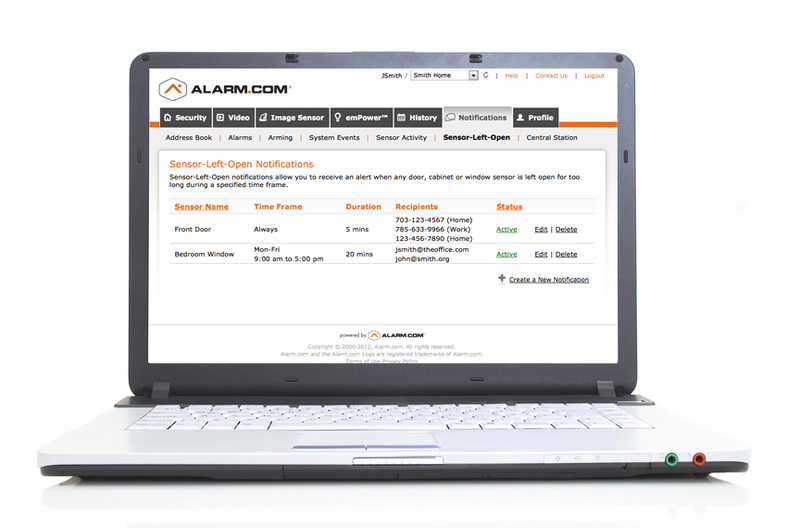 Each of our security systems comes with its own mobile app, powered by Alarm.com. This means that if you leave the house without arming the alarm, it will notify you and then you can either head back and activate the system it or simply press a button on the app that will engage your home security in seconds. If you leave home and happen to leave a window or door open, the app will notify you of this. It will also bring to your attention any windows or doors that have been left open for an extended period of time. This can come in very handy if by some chance your home was being invaded by an intruder while you were away from home. The system also comes with a still-image camera built in that can take pictures of your home while you aren’t there and send them to you whenever you want. You can schedule these pictures throughout the day or just take them whenever you want through the app. The camera can also be set to automatically record images when there is motion inside, giving you photos of whatever caused the camera to activate. Along with your security, you can also manage your thermostat to keep your home at the right temperature throughout the day. The app can also be integrated with your home’s lights, allowing you to brighten you home when you’re away and give any potential intruders the impression that someone is home to help deter them from breaking in. Our system also uses a cellular connection to operate. This means no phone lines are needed in case of an emergency – all that is needed is a ping from the unit in the home. This also means that would-be burglars can’t simply cut a landline to prevent your alarm from reaching first responders and authorities. Leading Edge Security offers innovative home security and technology solutions in the Bloomington and Bedford areas of Indiana. Our security options – backed by our years of experience – will help keep your home safe! For more information on our products, call us today at 812-325-6286!